Ditch the English muffin in this over-the-top steak and egg breakfast. We like beef tenderloin topped with a poached egg and Hollandaise sauce. Spring has arrived! Yay! Joie de Vivre! It’s also my birthday! Yay! …Not so excited about having to be twenty-nine yet again though. But I doubt anyone will believe I’m 26. Or even 29 for that matter. Yes, I was born on the first day of Spring, which is the Spring equinox. Some years it comes on the 21st, but the year I was born and this year as well it is on the 20th. And cause for celebration in my home, as well as many others not just because of the official start of the next season, but because the date itself carries much cultural significance, including being New years Day in some cultures. Many cultures celebrate the planting season this time of year. 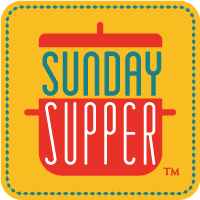 So fertility is part of the focus of the day, and with fertility comes eggs, which is what the Sunday Supper tastemakers are having fun sharing recipes for this week. So it is a good thing all the Spring chickens out there are doing their laying, because you will need a baker’s dozen of eggs…or more! To have enough to just get started with these delicious recipes. For my choice, I have opted to do steak benedict, which is a play on eggs benedict, the classic egg dish of a poached egg and Canadian bacon on an English muffin covered with Hollandaise sauce. But you won’t find any muffin here. I decided to drop the carbs and gluten as much as possible and keep it very high protein, so instead of a bed of English muffin this will be an egg perched on top of a beef tenderloin steak (filet mignon). I haven’t forgotten the Canadian bacon, but instead of that, I wrapped the filets with prosciutto before grilling to help keep them moist, the same way you would put bacon around a filet. It works very well, actually. I love the results and think you will too. So for having a special occasion breakfast of brinner (breakfast for dinner) this recipe could be just the thing you are looking for. And even though I list it as an advanced recipe, I don’t find this difficult, and with a little practice I don’t think you will either. I know a lot of people are timid about poaching an egg, but it really isn’t hard at all and I do it all the time, easy as a fried egg. And don’t be intimidated by Hollandaise sauce- just don’t let it overheat and it is as easy as making biscuit gravy. Season steaks with salt and black pepper. Fold prosciutto in half lengthwise and wrap around steaks like a belt. Grill steaks to desired doneness, removing steaks from heat when the internal temp is 130ºF:rare, 140ºF:med-rare. Temps will rise another 5-8 degrees as they rest. While steaks are resting, prepare eggs. Heat water in a skillet 3/4 way up and stir in the vinegar. Bring the water to a simmer (small bubbles continuously surface, but not boiling). Place egg in a small dish and delicately tip the egg into the water. Allow egg to simmer for 2-4 minutes, if the water doesn’t cover the top gently spoon water over the yolk so it becomes opaque evenly. Eggs are done when they look a little underdone to you- whites set but still a tiny bit jiggly if you like a runny yolk. Use a large slotted spoon to lift them out carefully and let the water drain away. Set eggs aside. If you need to rewarm them, keep them on the spoon if you feel awkward about breaking the yolk and just before using, gently submerge it into the simmering water a few seconds to warm it up (but not long enough to cook further). To make the Hollandaise, set up a double boiler or place a stainless mixing bowl over a pot of simmering water, water should not be high enough to touch the bottom of the bowl. Whisk the egg yolks with the water in the double boiler or mixing bowl over medium heat for 4 minutes. Add the butter pieces one at a time, while you keep whisking, allowing them to incorporate; (alternating keeping the pan on the heat and off the heat, as you do so to keep the sauce from becoming too hot and breaking) continuing to add butter and whisking until all is in there and the sauce thickens, then whisk in the seasoning. If your sauce at any time there looks like it is too buttery around the edges, it is getting ready to try and break, so drop a small ice cube or 1/2 tablespoon of cold water in there to quickly cool it down, and keep whisking until it is smooth. When smooth, quickly whisk in the lemon juice. To build, place the steak on the plate and top with the warm poached egg, spooning Hollandaise sauce over. Favorite egg recipes for you to enjoy. This recipe looks wonderful! I am definitely going to try it. Thanks for posting it. Thanks! It’s a great way to enjoy steak. Happy birthday, Sue! This looks like a wonderful, celebratory breakfast!!! We had it for “brinner” some time back. Happy Birthday! And holy cow these look incredible! Some of our favorite things all in one recipe. Now that’s steak and eggs! That looks so delicious! I love hollandaise but have never made it. What a perfect combination. Happy Birthday! I hope you had a great day! This would be the best dinner ever – love filet and will all that creamy egg yolk this is perfection. Happy Birthday Sue! That is such an elegant breakfast! No need to go out to celebrate when you can celebrate with food like this! This is Steve’s favorite breakfast! He makes this every time he has prime rib. I can’s show him this. He’ll want it every day. Happy Birthday! Love that hollandaise sauce over the top. My husband loves eggs benedict and Im sure he would love it even more with steak. Oh My God!!! This is a magnificent play on Eggs Benedict and I love that you eliminated the bread and brought in the beef! Great way to celebrate your big day…Happy Birthday! !